We’re a technology and security business that leverages best practice methodologies to ensure an exceptional result, every time. Our background in highly regulated industries has fostered the development of standards-based processes, giving us a competitive advantage. At 360 Managed we live and breath our values, they are our guiding principles that we use to influence all of our actions. People First – Relationships matter. We value our people and our customers as the priority in everything that we do. We show respect and honesty to our clients and partners, and expect the same in return. We develop and nurture our team as our extended family and encourage a balance between work and life. Secure By Design – In all parts of our business we consider security as a core design tenet. By integrating security at the outset we focus on the protection of our clients and reputation. 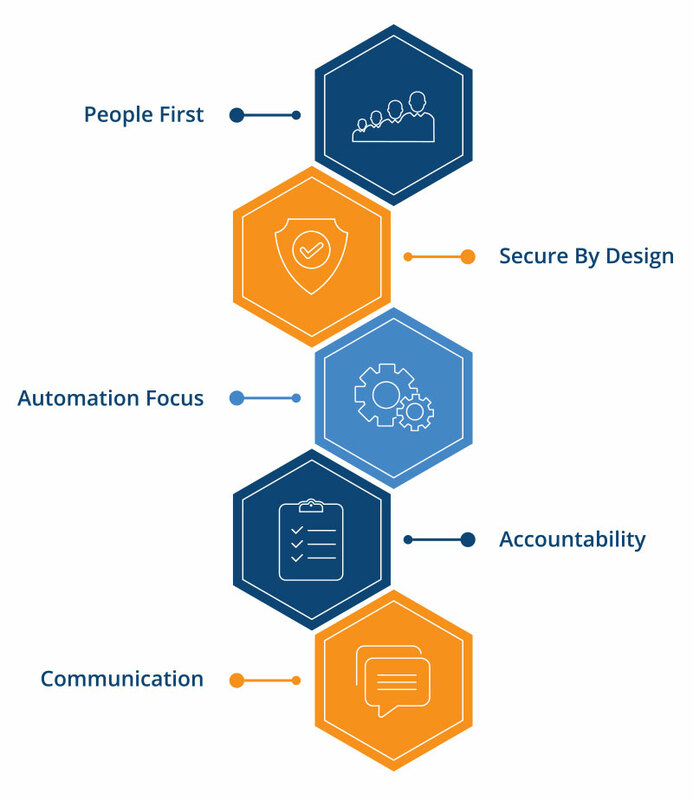 Automation Focus – Our business is driven by technology, we look to use robust and innovative automation solutions at all times to add company and client value. Accountability – We drive results through our organisation by maintaining absolute accountability for our actions. Communication – Stakeholder engagement is key to delivering to expectations. Our business is built on clearly defining the outcome and maintaining complete transparency at all times. Communicate. Communicate. Communicate. Let our team guide you in the right direction, contact us for a free chat.